A whetstone is a fine-grained stone that can be used to sharpen various types of cutlery. They are an essential tool for any knife owner or collector to have. There are many different types of whetstones available. And choosing the best whetstone for your knife collection can be an overwhelming task, if you don’t know what to look for. Although there are other products available that can help you sharpen a knife with less effort, seasoned knife collectors tend to choose a whetstone for all their sharpening needs. The only downside is that you can’t pick up a whetstone for the first time and begin using it right away. It takes time and practice to learn to use a whetstone correctly. But once you master this skill, it will soon become one of the most useful abilities that you have. Whetstones are available in a broad range of grits. The various ranges in coarseness will each sharpen a knife in a different way. It’s important that you understand how the varying degrees of coarseness effects sharpening your blades before you purchase a whetstone. This will ensure that you buy the right tool for the job. To determine the grit of a whetstone, you will need to look for a number printed on either the top or the side of the stone. This number lets you know how coarse the material is. The lower the number is, the coarser it is. The type that you choose should be based on the overall outcome you want after using it to sharpen your knife. 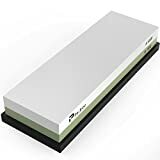 If you are looking for a whetstone that will sharpen a blade’s edge for simple tasks, the best whetstone would be one with a medium-range grit. 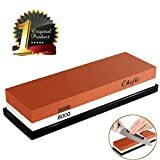 Those who want to use their knives for more complicated tasks that would easily dull the blade should purchase a whetstone that has two sides. These whetstones will feature one side with a fine grit surface and one that is coarse grit. Whetstones that have a fine grit can easily sharpen the edge of a blade in less time than those that are coarse. These whetstones also tend to last longer than those that are coarse. That is why many people assume they should buy a fine grit whetstone for all their knife sharpening needs. Serious knife collectors should invest in a good quality fine grit whetstone as well as a good coarse stone so that they can sharpen and refine several different blades. Or they may want to purchase a whetstone that features a fine grit on one side and a coarse grit on the other. How Do You Use a Whetstone? Whetstones range from fine to coarse grit, but they can also be placed into three specific categories, Coarse Stones, Medium Stones, and Finishing Stones. Coarse whetstones are those that feature a number less than 1000 on the top or side. This stone is a good choice for experienced whetstone users who want to repair their damaged blades. This type of stone can be resourceful if you have knives in your collection with nicks or those that have completely lost their edge. You simply need to glide the knife along the whetstone several times and it will be back in excellent condition. This stone can help you make your dull or damaged blades functional once again. They are the perfect tool for collectors of antique, used and vintage knives, allowing the owners to make old and forgotten knives work like new once again. Anyone who is serious about collecting knives or those who want to keep a knife in good working condition should add a quality coarse stone to their blade accessories. Medium Whetstones feature a number that is between 1000 and 3000. The gritstone that is labeled 1000 is considered basic. A stone that is either 2000 or 3000 grit is less coarse and perfect for restoring the edge to your old or worn out blade. It’s important to not use a coarse 1000 whetstone on your blades often because they can wear your knife down over time. If you tend to sharpen your knife frequently, a medium stone is a good choice for you. It will provide you with a good edge for your blade and won’t wear it down too quickly. It’s important to keep in mind that a whetstone is designed to sharpen the edge of your blade, and not maintain them. Once you start using a medium whetstone regularly, you will get a better idea of how often you should be using it to prevent damage. Finishing stones feature numbers that range from 4000 to 8000. Those that fall between 4000 and 5000 are made to provide your blade with a well-refined edge. Whetstones that are marked 8000 are excellent for sharpening knives for cutting veggies and fruit. If you want to sharpen your knife to cut meat, you will need to use a finishing stone that is between 4000 and 6000. You use different grit ranges based on what you are using the knife for because a knife sharpened with an 8000 stone would bend if it were to cut through tough areas of meat such as the muscle. But a 4000 or 6000 stone will give your blade the right edge to slice through any type of meat. There are a few things that first-time users should know before they start sharpening their blades on a whetstone. First, you need to prepare the stone to be used. To sharpen a knife, you will need to pour either mineral oil or water on the stone in a generous amount. The entire surface of the whetstone must be covered in water or a thick film of mineral oil prior to use. Next, using the rough side of the stone, sharpen the knife by holding the blade at 15 degrees while doing so. This will allow you to safely sharpen your knife daily without harming the blade. Hold the blade at a right angle and pull the knife toward you. The cutting edge of your knife should be facing you. You can also try pushing the edge away from you, which ever method you find works best. Apply pressure as you glide the blade across the stone. Continue doing this around 12 times. The pressure that you apply should be distributed evenly, for the entire length of the blade. Once you are finished, turn the whetstone over to the smoother side. Repeat the same steps mentioned above to complete the process of sharpening your blade. There are dozens of excellent whetstone products available for you to choose from. 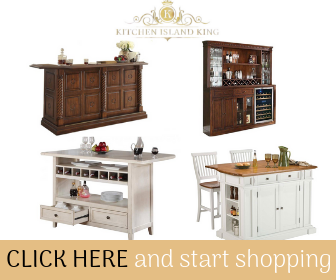 So many in fact that it can make the purchasing process overwhelming for beginners. Here are a few helpful suggestions for the best whetstone products that you can find at your local retailer or online. 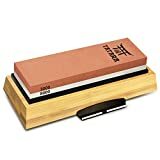 The PaiTree Whetstone Knife Sharpener is a dual-sided stone that features a #1000 coarse side and a #6000 fine finishing stone. This professionally-made quality whetstone is handmade using quality craftmanship. The 1000 grit side can be used for fine grinding to sharpen blunt blades. It leaves the metal with a frosted appearance after use. The 6000-grit side is ideal for polishing your blade. It is useful in removing burrs on the edges leaving you with a razor-sharp edge. This Waterstone sharpener is great for use in the kitchen. It also works well with pocket knives, hunting knives, shears and straight razors. 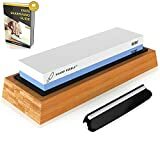 This double-sided sharpening stone from BearMoo is a professional-grade item that you can enjoy using for years to come. This knife sharpening whetstone set includes a double-sided stone with #2000/#6000 sides. It also includes an anti-slip bamboo base holder and a silicone base to protect the stone. This whetstone is the perfect choice for sharpening pocket knives and multi-tools. It can sharpen practically any blade include kitchen knives, hunting and woodworking knives, and carving knives. This kit is user-friendly, and the included angle guider will keep your knife in place while sharpening, making the process easier. The Shapton Japanese Sharpening Whetstone is a quality product that is available in various grades to suit your needs. Choose between #120 up to #30000 for optimal results. This lightweight stone weighs only 1.48 lbs. and offers a smooth sharpening finish for your dull knives. This whetstone has a grinding wheel that is subdivided, making the product a great choice for a wide range of blades. The stone includes a well-fitted base and a case that is vented to prolong the use of the product. The case can also help to keep the stone in place while using it to sharpen your knives. The Smith’s TRI-6 Sharpening Stone System features three different systems for keeping your knives sharp. There is a coarse synthetic stone, a fine Arkansas stone and a medium Arkansas stone. Each stone is attached to the molded plastic triangle which allows for easy rotation. The coarse stone has a grit of #400 while the Arkansas stones are #1000 and #1200. The base features non-skid rubber feet for added stability. It is one of the very best whetstone products because of its versatility. This compact whetstone is easy to carry in your pocket for on-the-go knife maintenance. It weighs only 7.2 oz. and features a dual grit on two sides. There is a coarse side with a grit of #120 that can be used for shaping and cutting. There is also a side with #280 grit that can be useful for sharpening and finishing. This whetstone has a contoured shape that makes it easy to hold while in use. It is a good choice when you want to achieve a quality edge on all your blades. 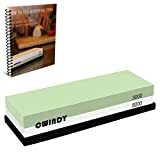 The CWINDY whetstone is made of natural corundum, It has excellent features of self-sharpening. The whetstone is produced with 17 processes, and 3 inspection procedures to guarantee the quality. The low grit side is for refine the dull edge, the high grit is for the edge be sharp and polished. The BlueSun Whetstone is made from natural corundum that helps keep your blades sharp. Extras include consistent particle distribution, precise hardness and a self-sharpening feature. This stone is handmade to ensure that you receive the best quality product. There are two sides, one which features a #3000 grit surface used for sharpening blades. The other side is #8000 grit and is used for honing, removing burr and improving the cutting edge of the blade. It is recommended for use with chisels, straight razors, bread knives, pocket knives, kitchen cutlery and kitchen scissors. 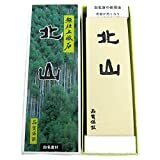 The Tarara Double-Sided Japanese Whetstone allows you to slice through practically anything using your favorite knife. This product is made from professional-grade Aluminum-Oxide material. It can be used with water only without the use of expensive oils. This whetstone includes a non-slip bamboo holder. It has a #1000 grit side for smoothing the blade and a #6000 grit side for finishing. This high-quality whetstone is easy to use and well-made. The Sharp Pebble Dual-Side Whetstone features #1000 grit on one side and #6000 on the other for multiple uses. It includes a premium quality bamboo base for holding the stone. 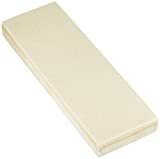 This whetstone is strong, durable and long-lasting. It is a global stone that can be used to sharpen any type of blade including kitchen knives, hunting knives, pocket knives and straight razors. The useful silicone base helps hold the stone in place making it safe to use. As you can see, there are numerous choices available for whetstones which may be used with various types of blades. 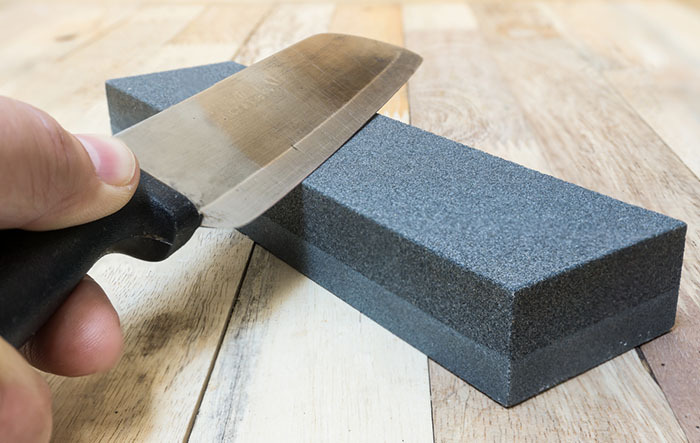 It takes some time to get used to sharpening a knife with a whetstone, but once you master the skill, you will be very pleased with the results. These whetstones are some of the very best in the industry and will provide you with excellent results each time they are used.